This drink is nutrient packed and delicious! A great breakfast or snack on the go. Packed with veggies, fruits, omega-3 fatty acids, fiber, and nutrients. I promise it won’t taste like grass either. 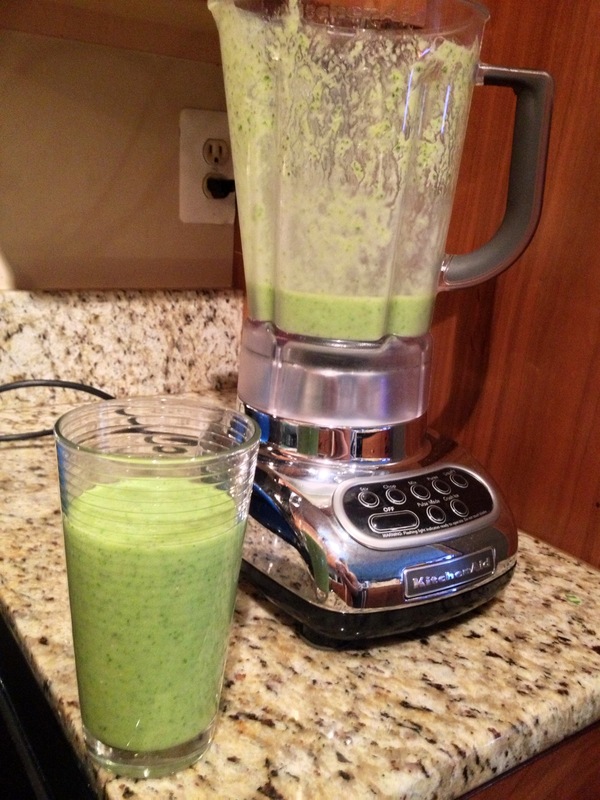 Add bananas, kale, and pineapple to your blender. Add chia seeds and almond milk.